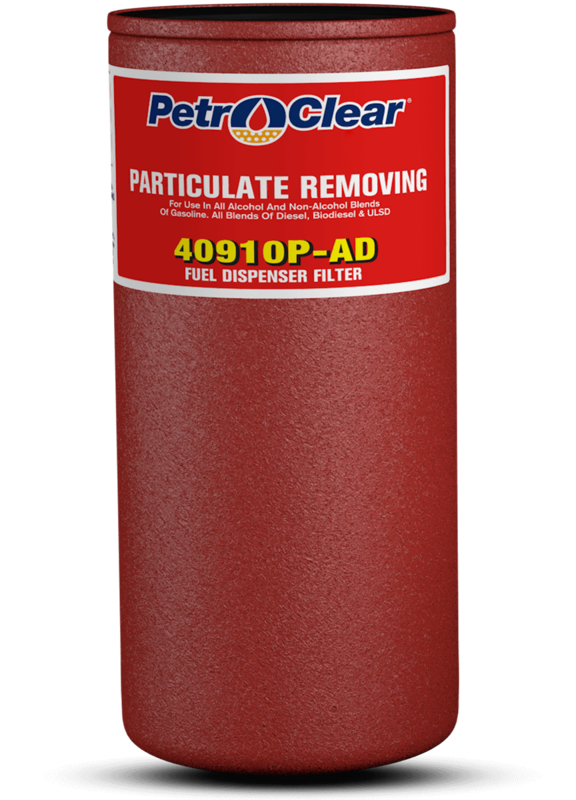 The PetroClear 40510W-AD is a 10 micron water sensing and particulate removing spin-on filter for use on high flow fuel dispenser. It delivers up to 25 GPM (95 LPM). 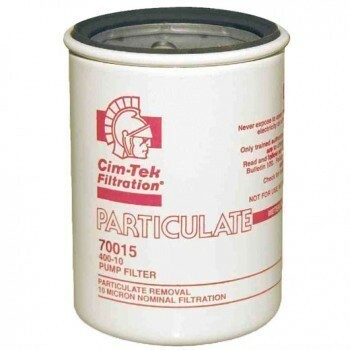 The Cim-Tek 70076 450HS-30 is a hydrosorb fuel filter for use on gas service station pumps and commercial fueling dispensers. It delivers up to 25 GPM, detects water in product and is used for filtering Gasoline, diesel, biodiesel, ULSD. 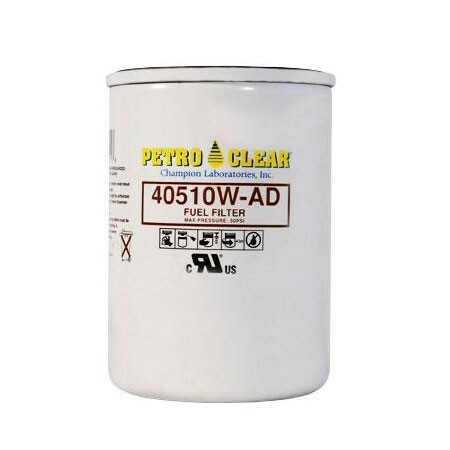 PetroClear 40910P-AD is a particulate removing spin-on filter for use on fuel dispensers, power pumps, and gravity flow applications, as well as low volume commercial and industrial applications. For use with gasoline and diesel fuels including all Ethanol blended gasoline, Biodiesel and ULSD (Ultra Low Sulfur Diesel). Delivers up to 25 GPM. 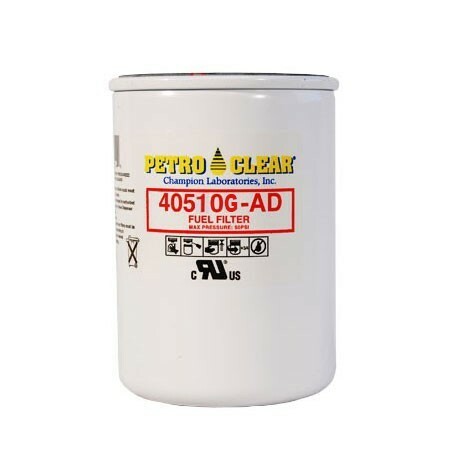 PetroClear 40510G-AD is a particulate removing spin-on filter for use on fuel dispensers, power pumps, and gravity flow applications, as well as low volume commercial and industrial applications. For use with gasoline and diesel fuels including all Ethanol blended gasoline, Biodiesel and ULSD (Ultra Low Sulfur Diesel). Delivers up to 25 GPM.